Presentation Abstract: The distribution of upland transitional habitats found along the margin of estuaries is critical to tidal marsh ecosystems and generally not well understood. Brian Fulfrost, of Oregon Freshwater Simulations, and David Thomson with San Francisco Bay Bird Observatory (SFBBO), have developed a new mapping methodology and ranking system for transition zones called San Francisco Bay Estuarine-Terrestrial Zone Decision Support System (DSS). 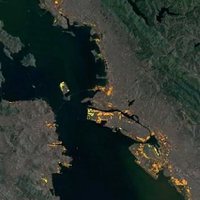 This project is the first to describe and map the distribution of these potential habitats around San Francisco Bay and to propose a ranking system for predicting their restoration potential, importance to obligate fauna, and likely conservation value. Rankings are based on indicators of habitat function. The webinar will include an overview of the project and provide some detail on the indicators and metrics used to map and rank the transition zone distributions, and provide examples of how the DSS is already being used by multiple agencies. The webinar will also include a “tour” of the current ranked transition zones and predicted distributions of transition zone under two sea level rise scenarios (6cm and 167cm) using the online interactive mapping tools available on Data Basin (https://databasin.org/articles/c5f4d540073247189709a144ebd49d7c). Presenter Brian Fulfrost is currently principal at Oregon Freshwater Simulations (http://freshwatersim.com) and also teaches GIS at WSU and SFSU as well as remote sensing at the University of West Florida (online). Brian has spent more than 20 years utilizing GIS, remote sensing and geospatial technologies to better inform conservation planning, resource management and sustainable planning. For the last ten years, Brian has worked on mapping and building decision support tools for coastal environments. This work includes the use of high resolution multispectral imagery for mapping marshes and mud flats for the South Bay Salt Pond Restoration authority, developing decision support systems for estuarine-upland transition zones under sea level rise, and using GIS based modeling to map shoreline vulnerability and coastal flood zones. At Oregon Freshwater Simulations, Brian oversees the use of GIS, web/mobile mapping and remote sensing applications in natural resource conservation (including climate change studies, whole watershed modeling, vegetation mapping, habitat suitability, ecosystem services and decision support systems) as well as sustainable planning (including walkability analyses, park and food accessibility, active transportation and public health). Presenter David Thomson (MS in plant ecology from Southeastern Louisiana University) - SFBBO Habitats Program Director - for the past 10 years David has primarily been actively researching the management of estuarine-terrestrial plant communities around San Francisco Bay. These habitats have been almost entirely lost to human modifications since European colonization, so we don't have reference sites to guide restoration. Instead we practice habitat creation, based on historical ecology assessments, botanical records, and the habitat structure requirements provided by wildlife biologists' research on species utilizing the estuary's margin. Our work includes searching the region for seed collections (we work primarily through direct seeding), storing seed according to the National Seed Bank guidelines to preserve viability, producing container stock for species that don't do well from seed, and direct seeding large acreages with around 30 species of forbs, grasses, and shrubs. We follow this with several years of monthly surveillance and maintenance, describing the performance of our work, the developing plant community and its habitat structure. How long this occurs is an active part of our research, and since herbaceous communities can take a decade to reach maturity we still look forward to seeing the results of our work.